Hundreds of thousands of well-meaning pet owners dose their animals with any of several assorted brands of topical flea and tick prevention and/or elimination products. Many of these are applied on a monthly basis, others quarterly. The longer the interval between applications, the stronger the product must be, and the more residual effect it will have. At first glance, this seems to be a benefit, as none of us want an infestation of these pests in our homes. However, there is a very serious downside to these potent and residual chemicals. Remember--these are products designed to kill living things. No matter that "mere insects" are the target population; the ingredients are still toxins. Toxins are poisons, and poison is a great thing to keep away from animals and children. 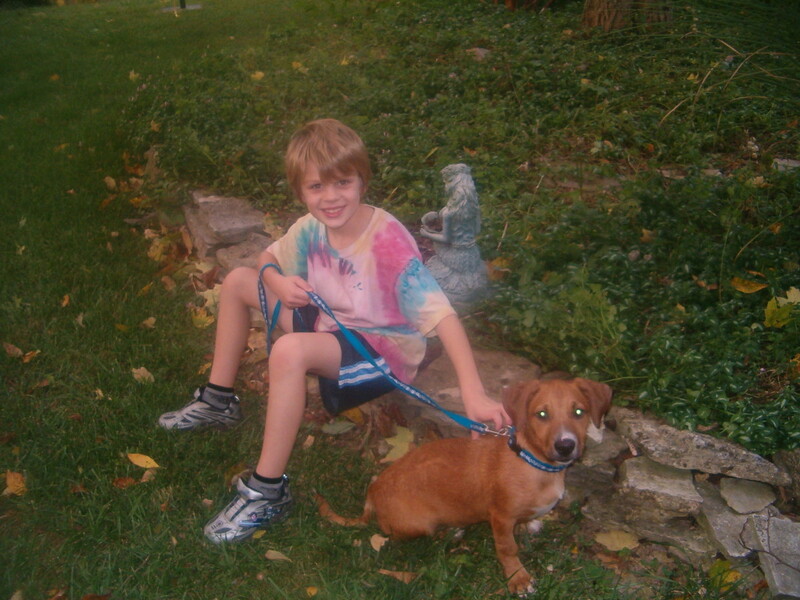 Since children often come into close and frequent contact with the family pets, this is a concern as well. If a child hugs a dog who has just been dosed with one of these products, there is a very real risk that it will end up inside the child. We all know kids are not very good at keeping their hands and fingers away from their faces, licking their fingers, eating without washing hands, and so forth. For example, Propoxur (flea) collars were found in an NRDC study to deposit 100 times the "acceptable" amount into the home environment in only 3 days for adults and a whopping 1000 times the threshold for children. Read that bit again: "...to deposit ... into the home environment..."
This means you don't even need to come into direct contact with the product — it is outgassing — making the ingredients airborne for you, your children and your pets to breathe, and to end up on surfaces where food is prepared!! Be aware, it is not necessary for a child or anyone else to actually ingest, or eat, these toxins to be affected--many are able to be absorbed through the skin! 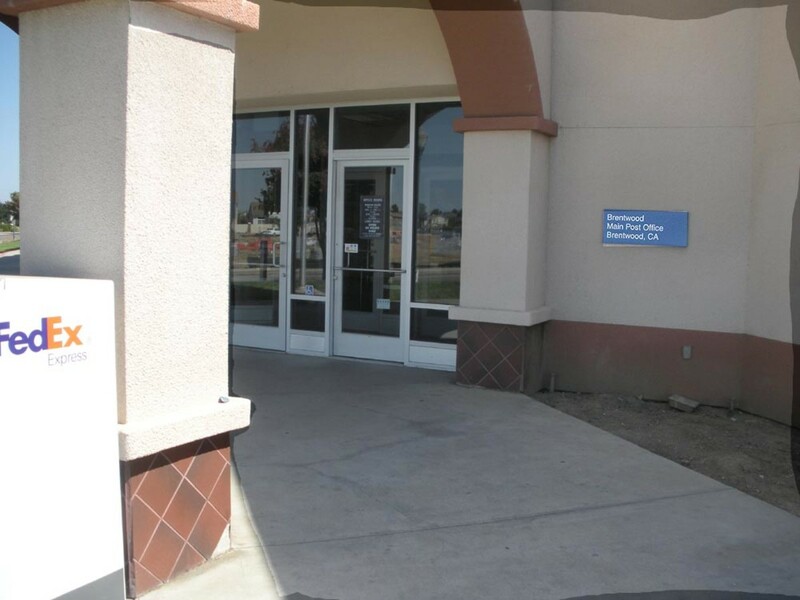 The problem with the Over-The-Counter (OTC) products is their widespread availability to the public at large. It is the equivalent of trying to self-diagnose and self-medicate without consulting your doctor, because anyone can buy these products and apply them to their dogs and cats without medical or veterinary training. "All Natural" on the label does not necessarily mean "non-toxic"
These products are all manufactured and marketed by "trusted" names in the pet industry, which brands cannot be mentioned at this time due to ongoing legal issues. However, the NRDC has compiled a comprehensive table of all the products it has tested. The terms "natural," or "all natural" are little but marketing ploys, and are widely misused and misleading. After all, arsenic is natural, but hardly harmless. What Ingredients Cause the Trouble? Pyrethrins are a very common ingredient, and fall under "natural," because they are derived from Chrysanthemums. (That is not to say that they are actually Chrysanthemums however.) Pyrethrins are a severe toxin, not only to cats and dogs, but also to humans, and especially children. They are responsible for the greatest amount of pet death and damage. Any one of these, alone or in combination, may be found in OTC flea and tick products. They are best avoided for the health and safety of your pet. Never use antibacterial soaps on your pets. From 1947--WHAT Were They Thinking???!!! You may recall the ban of the chemical DDT back in 1972. This was due to a pervasive and residual effect, which had a severe impact on exposed wildlife. The problem with the topical or "spot-on" flea and tick products is similar. Even today, over 40 years later, DDT residue is still being found. Similarly, the insecticide Dieldrin™, a chlorinated hydrocarbon, had long-lasting residual effects. It was banned in 1987. When I was a child, we had numerous infestations of ants getting into the house. My father got hold of Dieldrin™, and sprayed it all the way around the foundation of the house, both inside the garage and the full outside perimeter. This was probably back in about the 1958 to 1960 era. He made only the single application. We never had another single ant or other insect in that house from that day forward, until the house was sold in 2003! Almost 50 years worth of residue "protecting" us. Every time a problem pesticide gets banned, it seems another is lurking in the wings to take its place. The current round includes these other assorted natural, yet still harmful, ingredients and their synthetic cousins. There is a movement underway to ask for these to be banned as well, or at the very least, prohibited from use in products intended for use on pets. As with many other things, our scientists seem to think they can do better than Mother Nature, and attempt to reproduce natural products in the un-natural setting of a chemical laboratory. These synthetics are more dangerous because they are manufactured to be more potent, and therefore pack a bigger punch. Somehow, we have become obessesed with overkill--it is not enough to kill something once--we must apply dosages sufficient to kill whatever it is several times over. 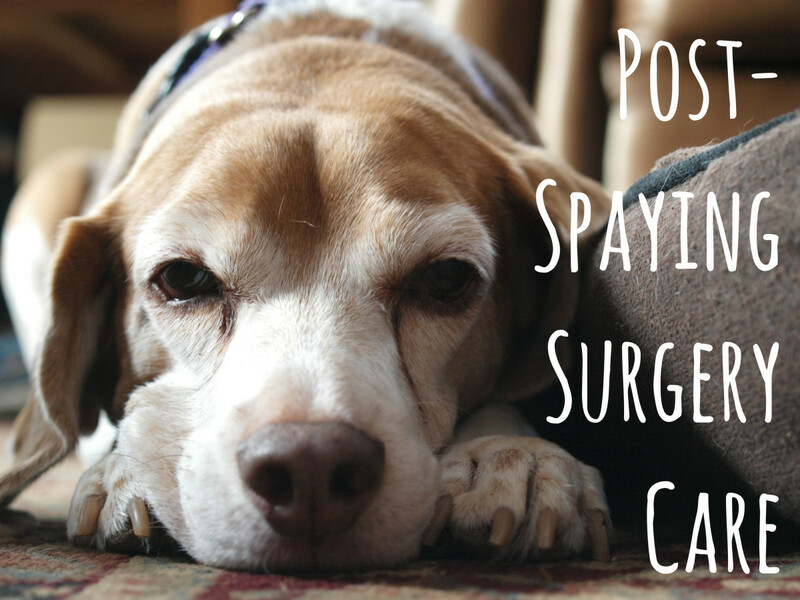 Here is a very personal story of what happened to cclitgirl's dog because of these toxins. (Luckily, her dog recovered, but that is not always the case.) Please, be aware that these products are not harmless! What Can We Use Instead? Safe for application to pets are pure glycerin soaps and food-grade diatomaceous earth, often referred to just as "DE," rubbed into the coat as you would a commercial flea powder. Use it sparingly---a little goes a long way. It is bad for pests, and works by scratching the outer shell of the insect so they dry out and die, but used carefully, is safe for your pet. Keep it away from the animal's face; you don't want them inhaling it into their lungs. The best way to use the diatomaceous earth is on a hard-surface floor, such as the bathroom. Sprinkle some on the floor--then, as you flea-comb your pet, any fleas that hop off will land in the DE, and be done in. Vacuum thoroughly when finished. Don't forget to wash the pet's bedding, and any loose blankets or clothing on which the pet may have lain. You can also rub some of the DE into the clean bedding. 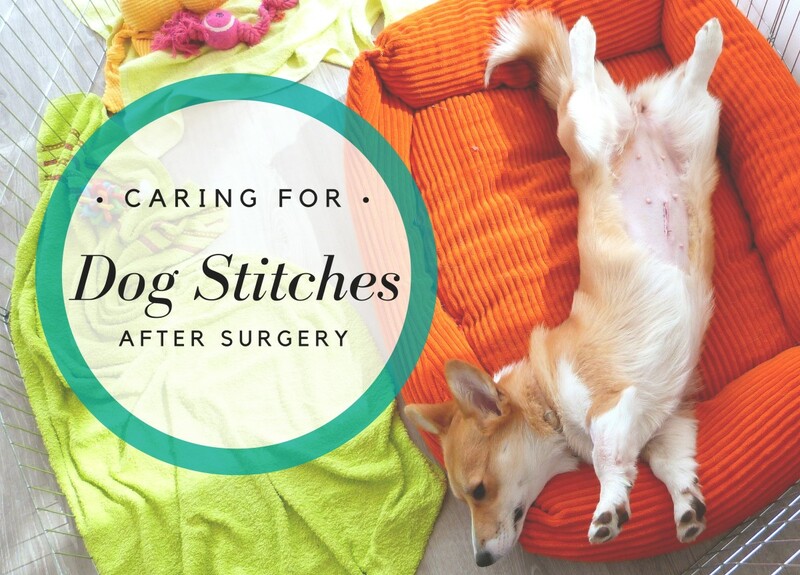 Flea-combing your pet is another combative measure that can be taken as often as you wish, as this is a purely mechanical method of flea removal, and therefore non-toxic. 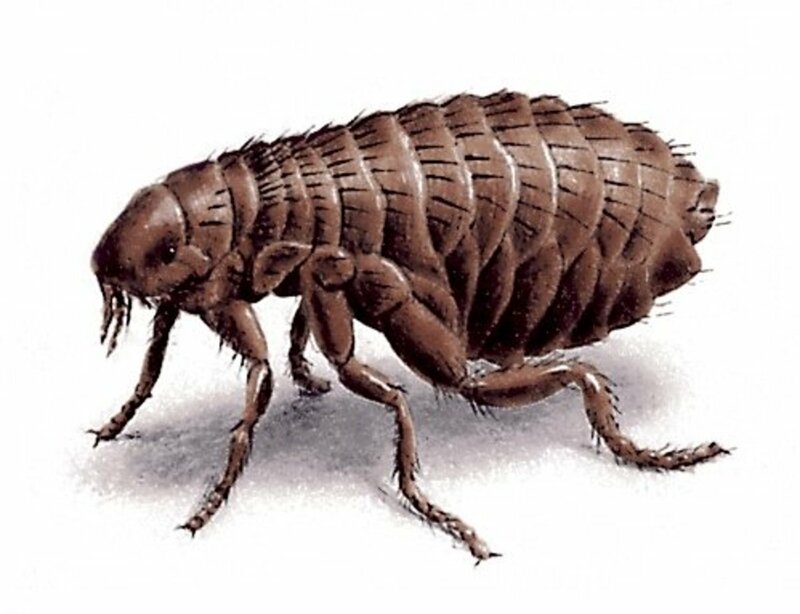 It is probably most effective after a bath or application of the diatomaceous earth, so that the fleas removed with the comb are not viable to hop off the pet onto you or into your carpets. No flea-control program is complete without careful, frequent vacuuming and dusting. Don't forget the couch cushions and under the couch as well. Especially where there are dogs in the home, because dogs go in and out, and can continually transport fleas and ticks into the home. Cats who remain as indoor-only pets are easier to keep flea and tick-free, once any initial infestation has been cleared up; that is, if it is a cat-only household. Where both cats and dogs reside, there is still the problem of the dogs as transport agents. If you have a large yard where your dog spends a lot of time in addition to time spent indoors, the yard must also be treated. In the case of manufacturers hiding or attempting to hide with misnomers, their actual ingredients, you can still find out what they are. You can try their website, and see if they have a Material Safety Data Sheet (MSDS) posted; if not, call their customer service number, and ask for a copy. By law, they are required to have these, and must supply them on request. Damage to the body's endocrine system is a major problem with all of these chemicals, including the natural toxins. Growing children are especially susceptible, as are your pets. Even full-grown dogs and cats are smaller than we are, and therefore more vulnerable, and that goes at least double for puppies and kittens; infants of any species have not yet developed any defenses. If you're interested in all the intricate details, please visit Tiny Timmy's website (link below) for full information on endocrine disruption and other dangers. What Is A Timmy Stone? There is a worldwide movement afoot to bring a halt to the widespread use of such terrible poisons in our homes. It is called the T.O.Y. 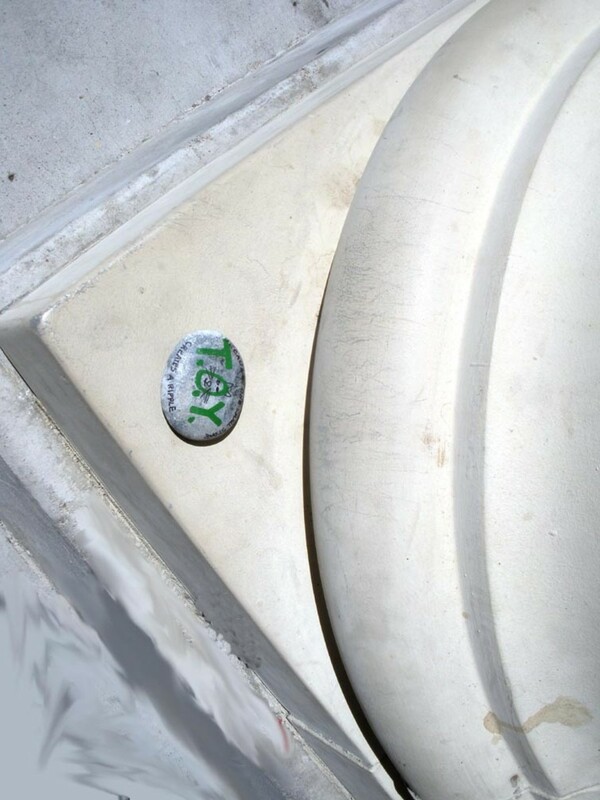 Army, and is made up of volunteers spreading the word by placing "Timmy Stones" in public places whenever they can. T.O.Y. stands for "Timmy, Oliver and You." Tiny Timmy is a cat suffering from severe neurological problems as a direct result of such toxic flea products; Oliver is a kitty who died from exposure to these preparations. "You," of course, is you, dear reader. You can join the "army" and help to place Timmy Stones. Timmy Stones are ordinary small rocks, painted with the T.O.Y. Army logo, and listing the website. You can paint them yourself, or you can order them (free) from the website. Once someone places a stone, they let the organizers know, and provide a photo if possible. Then, when someone finds a stone, they are instructed to let the organizers know where and who found it. They can keep the stone, or pass it on to a new location. The movement is gaining steam, and the group has met with the EPA in the interest of getting these toxins banned from all products for use on pets. Won't you join in the fight? Since this article was originally written, dear Tiny Timmy has lost his battle. He crossed the Rainbow Bridge in mid-2016. His fight and project live on. I'm glad I was able to help with your situation by means of this article. That over-the-counter stuff is indeed nasty business! As you discovered, not only is there potential for making the animal sick, but also anyone handling that pet. It truly is a horrible situation Just because the FDA has approved something to be sold does not mean they should have! Thanks very much for stopping by and sharing your experience. My 2 year old has a poodle, and I used a flea and tick powder on her about a week ago. For the first couple of days I couldn't allow her to play with her dog- no hugs, no petting. I couldn't relax, for I'd have to wash her hands constantly or lock the dog away from her. Finally, I gave up and sent her to her grandparents for a couple of days. And the puppy still has fleas! I still see her scratching. I guess because I couldn't bear to put the powder between her eyes. Great article, and I shall be disposing of that bottle in a safe way, never using it again. Thank you very much for sharing your experience with diatomaceous earth, and also for pointing out the precautions in its use. It could, indeed, cause an issue if breathed in, as a lung irritant, but the same is true of many dusty things, such as clay dust in working with ceramics. Dust masks can and probably should be used in both cases. It is highly preferable to potent toxins, however. I'm glad you liked the Timmy Stones information; they help spread the word. I have used diatomaceous earth on my cats with good success. Just be sure to wear gloves because the stuff is drying to hands. And, don't breathe it in for the same reason. I didn't know about Timmy Stones so thank you for the education. Thanks for commenting. As I mentioned in the article, you can search online for FOOD GRADE diatomaceous earth. It is THE safe alternative. You can also follow the link to the Timmy Stones and Tiny Timmy.org sites, for full details on this product. Thanks for sharing your story. I am wondering what i can use now. I do not like toxic chemicals near me....we have a cat and a dog. That's quite alright; we all get busy. I thank you so much for the compliment! What's important is that we get the word out, so for that, I thank you, too, for the votes, shares and tweet! You know, after all this time you've had this published, I had no idea you had given me a kind shout out. You'e awesome and this is a well-thought-out, cogent, informative hub. 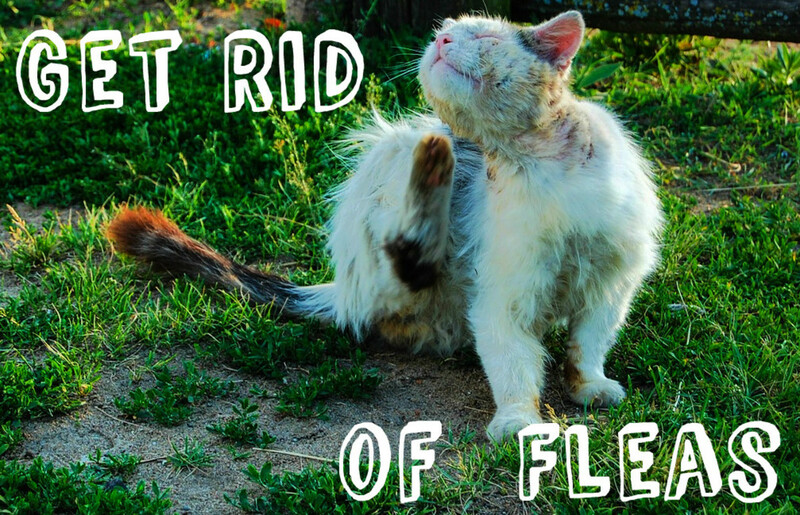 You're spot on with your explanations and highlighting the dangers of flea formulas. :) Voted up, tweeted and shared. Undoubtedly, you used the garden/pool variety of D.E., which has other "stuff" added into it, making it nearly as bad as the poisons currently in use. We are discussing the FOOD GRADE D.E. here, and in its safe, unadulterated form, it does work. 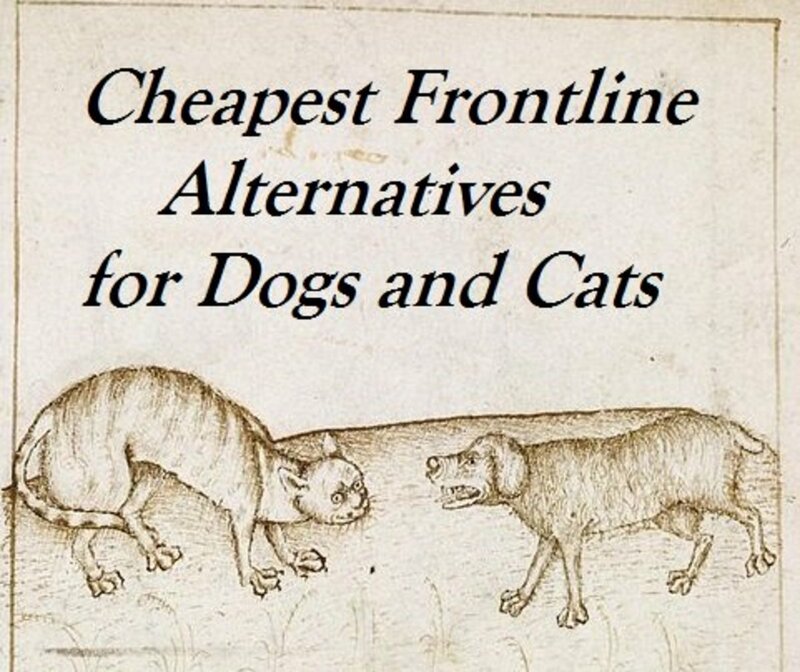 There are many, many studies and case histories documenting horrible damage done to pets (and people!) from handling the toxins currently sold as "flea and tick control." It is not my intention, nor that of the organization about which I wrote to "stir up trouble." The mission is education and safety for pets and people. Think of it this way: if the warnings on the label caution you against getting the stuff on your skin, and to wash immediately if such contact occurs, then why would you put it on the skin of your pet? Because that is what you are doing--separating the fur or hair, to drop it on the skin underneath. The reason you put it on their neck is so they cannot reach to lick it and ingest these toxins. The reason you are cautioned to wash your hands or other skin that comes into contact with these chemicals is that they are ABSORBED THROUGH THE SKIN. That is how they work! Would you go out into the garden shed, take an insect spray, and spray that poison onto your pet? No? Well, it is no different with the widely advertised and common treatments so many are using. It is quite evident that you failed to visit the website to which I linked to read the full back story, complete with documentation and first-person stories of what has happened to many pets. I do agree, there is a lot of trouble in the world--we are simply trying to eliminate one of those troubles, so people can live in peace and safety with their beloved pets. If fleas and ticks were so easy to keep off the pet and out of the house there wouldn't be any use for the D. Earth. which I don't believe will keep anything off pets. I used it for a tropical fish tank filter. I have put it out for slugs and it didn't stop them either. If I can't have something to keep the ticks off and out of my house I won't have a pet. So what will they do with all the pets in the animal shelters no one will want them if they can't get some kind of solution that works. It is the same way with garden dust no way to keep all the pest off plants now either. I don't see any reason to take away what we use. If you don't want to use it don't. Just don't stir up trouble we have enough of that in this world now. @ sgbrown--I'm glad I was able to provide useful information for you. The Food-Grade "DE" can usually be found at health-food stores. Do not look in the garden center! That is a different product altogether, and has had chemicals added for use in swimming pools as well, and has thereby been rendered just as toxic as the poisons we are trying to avoid! Thanks very much for the votes! @ rebeccamealey--I would stick with the DE. The pills, too, contain toxins. I would not use them on my pets. I think they are as bad or worse, because they are being ingested. Since moving to the country I have used diatematious earth. I really liked it. But I also like the pills. Capstar and Comfortis was good. Are these bad for the pets as well? Thank you so very much. I'm happy that you found the article in a timely manner for your use. Thanks very much for the vote! I wish you and your dogs well. Thank you for the praise and taking time to leave a comment. I'm pleased that you found the article useful. I do believe in lifelong learning, and it seems you do, as well. Thank you for sharing your story. Those things really are no good. And if you'll notice, the directions have all sorts of cautions for "safe" disposal, "safe" handling, including if it comes in contact with your skin (especially the drops) ... and... do they not realize it is coming in contact with the ANIMAL'S skin, too???? I'm glad you found this article in time. Check out the Tiny Timmy website for full information (referenced with a 'click here' in the section "Why these chemicals are dangerous." (I need to fix that so the name appears.) Please be patient--there is a LOT of information, and the site loads a bit slowly. Thank you very much again for taking the time to share. God, wejust put a flea collar on our cocapoo and he couldn't sit still-up and down,up and down. My wife said take the Hartz collar off. He's sleeping on the floor now. WOW! Thank you very much for the compliment and taking time to comment. Thank you so much for the kind comment. I am pleased I was able to provide valuable information. Gest wishes to you and your pets. This was an amazing read- The fleas and ticks are getting really bad right now, especially with the WARM winter we had! Thank you so very much. I'm glad you found the article of value. Thanks also for the vote! I'm glad you found the article useful--thanks for the votes! I'll look up kittythedreamer's article..thanks for pointing that out. Great Hub, Ms. Lizzy. There's another Hub by kittythedreamer that is along these same lines - maybe y'all could link up or something. How ironic that the ads placed in your Hub are for the same toxins that you warn against. Hopefully with the information you provided, folks can completely disregard such ads and care for their pets safely. 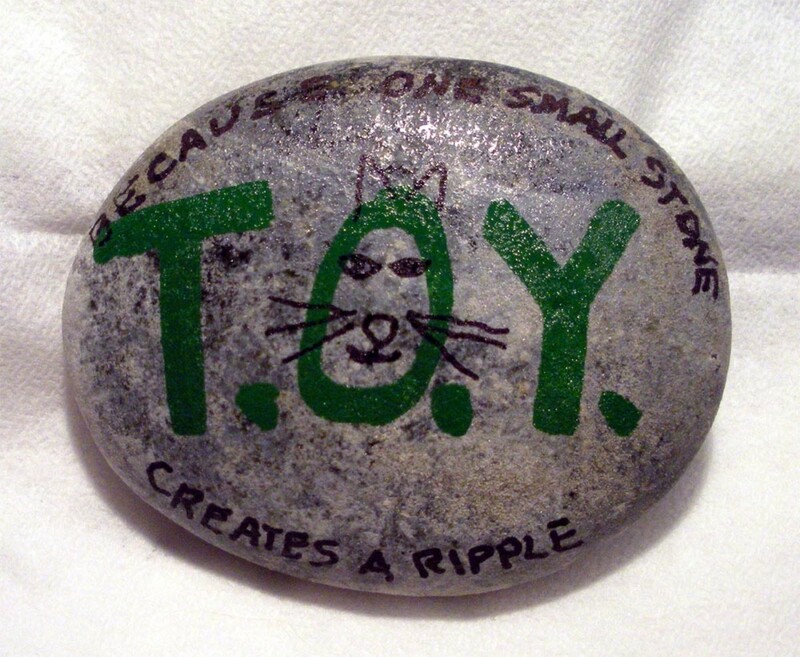 The "TOY" stones are wonderful - thank you for highlighting such a wonderful organization. Voted up, useful and beautiful! Thank you so very much. I'm pleased that you found the article useful. I thank you for helping to spread the word. I can't actually think of any other appropriate comment other than to thank you very much for writing this, and thanks even more for making it so comprehensive and informative! I no longer have any pets of my own, but there are about three beloved dogs I know who I love very much, and I'm glad to have all this to think and talk to other about! @ jandee-- At the moment, this campaign is focused on the topical products, and not worming --uh-- 'medications' for lack of a better word. Thanks so much for adding that information. It is another area that needs to be addressed in the education of veterinarinas, so that the entire problem becomes a moot point. If we can get the toxic products banned, the vets won't have access to them either. Thanks very mcuh for your input and kind words. I'm glad you found the article informative. Again, it's about educating from the inside out...hence the work to ban the products, so the educational institutions will be forced to study the safer alternatives. I agree wholeheartedly that applying what amounts to a commercial pesticide to your dog or cat is a terrible idea. It is unfortunate that most people just don't know of other ways to deal with fleas and ticks. But I suppose when you have a veterinarian telling you the product is safe, most folks take that as gospel. Another great hub, thanks DzyMsLizzy.